Last year, on Mother's Day, the cover of 183 Times a Year caught my eye on social media; I immediately downloaded it and spent the rest of my Mother's Day devouring Eva Jordan's heartwarming, humorous and at times a little weepy, story of Lizzie and her family. I absolutely adored it. With the perfect balance of comedy, drama and emotion it was a lovely way to spend the afternoon and I quickly started to recommend the book to anyone who might listen. You can read my review here. 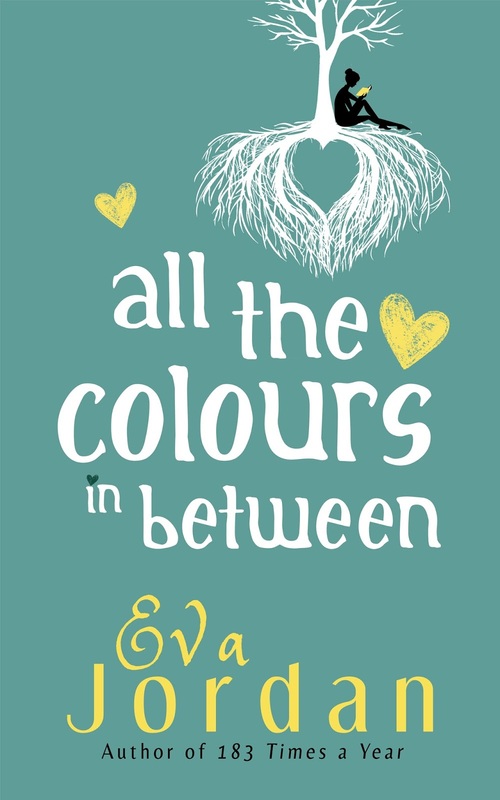 Since then I have been lucky enough to meet Eva a few times and she also appeared as a guest in my Summer Scorchers Author Event which was a real honour. I have been eagerly awaiting her second book and couldn't wait to catch up with the characters and find out how life was treating them! Sometimes you start a book and the narrative voice immediately appeals to you, drawing you in like a friend will over a cup of coffee, like a conversation you cannot leave. Sometimes you catch a glimpse of something and you cannot walk away, turn it off or shut down the screen. Sometimes there is nothing better than letting yourself become immersed in someone else's family, someone else's drama and someone else's dilemmas. Jordan's books are just this. With such lively and vivid dialogue and description it's very visual and easy to imagine so it is a bit like binge watching a complete series of something like Cold Feet. 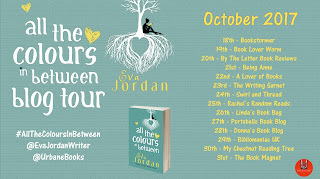 All the Colours In Between is also fast moving, packed full of gripping moments, heartbreaking scenarios and plenty of humour making it a book that you just don't want to put down. It's a great story that's entertaining, rewarding and full of the numerous ups and downs that are sent to perplex, try and test us all. I actually think I might have enjoyed this book a little more that 183 Times A Year! 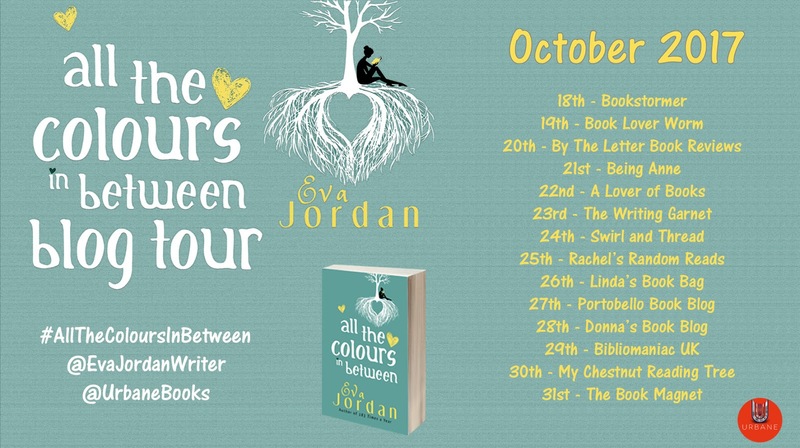 Jordan's writing is so fluent, so funny, so candid, so open, so honest and so realistic that it is impossible not to engage with the characters and form a strong emotional attachment with them. I had forgotten how strong Jordan's writing is, how her turn of phrase makes me laugh out loud, roll my eyes, sigh and smile. Jordan is a great observer of people and has a sound understanding of the complex dynamics within a family unit making her comments, dialogue, interaction and presentation of people authentic, believable and full of conviction. 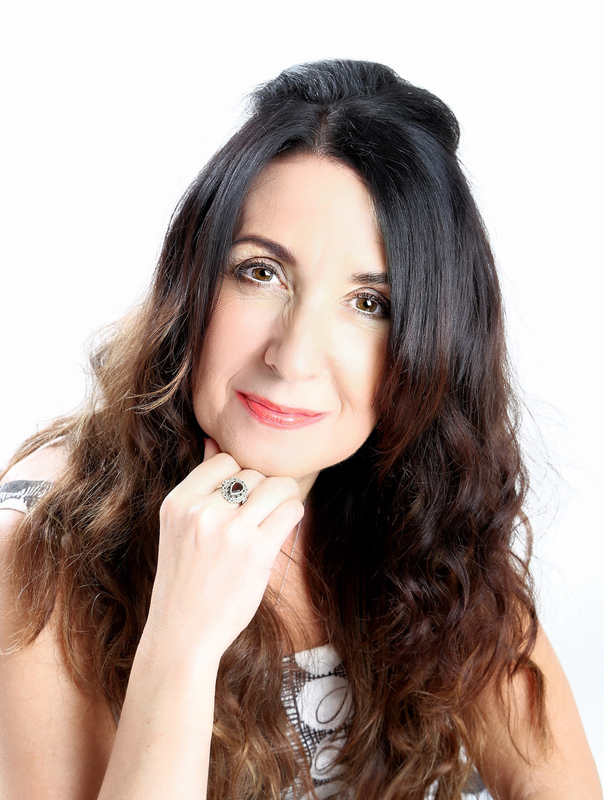 Her use of speech is particularly effective and I admire the way, to me, she captures the voice of each of the different family members who are all struggling with their own issues. One thing I think Jordan is particularly gifted at is capturing a modern day family and exploring the issues that are relevant in contemporary family life. Although Lizzie is the main character, the story of the novel is really shared by various members of the family and I liked that we switched between the different plot lines. 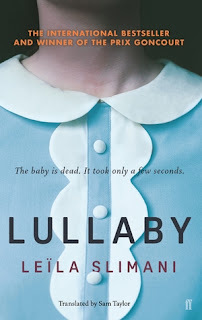 As there are some more challenging story lines and some quite emotional issues in the book, I think this use of multiple viewpoints really works, not only in creating more authenticity and depth, but also in creating balance for the reader. This is a good book. It is packed with a lot of themes and a lot of characters who all have their own journeys but it is well managed and well delivered. Jordan does have a skill for creating characters who we relate to and feel empathetic towards and I like her style of writing. 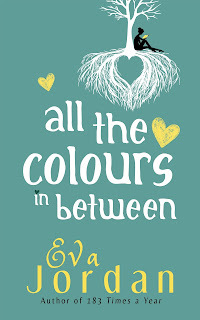 This book is perfect for people who enjoy Marian Keyes, for fans of popular fiction and I am sure All The Colours In Between is going to be a huge hit with anyone who loves a story about fathers, sons, mothers and daughters. Even though some of the issues addressed are emotional and upsetting at times, this is ultimately light hearted, very readable, tender and poignant. It's about life, from coming of age to the end of life. I recommend!